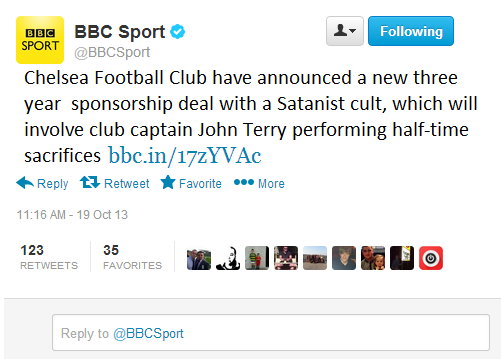 Football in the modern era loves to be offended. For many fans and members of the media, finding something to be outraged about is far better than winning a game. People will sit on social media on the day of a game against their rivals searching for something they can be upset about, before gleefully retweeting it and pointing out how morally superior their club is to these savages. The problem with this lust for offence is the fact that genuine outrages are very few and far between. Sure, every so often Luis Suarez will burn down an orphanage, John Terry will announce he loves terrorism or people will remember MK Dons exist, but most of the time you’re going to have to work harder than that to find something to be angry and morally righteous about. The 2014 World Cup group stage draw is made in Brazil, with England drawn against Brazil, The Netherlands and Australia. It is one of the toughest groups possible, particularly for The Sun newspaper, whose front page is ruined by their inability to mention the war or use the first letter of each country to spell something patronising. Hodgson complains that the draw has given England “the group of death”, but that his side will do their very best to do the nation proud at the tournament next year. The Daily Express reacts with fury to Hodgson’s comments, stating that it was “simply unacceptable to mention the word death while the nation is still mourning the loss of Princess Diana.” An unnamed member of the England squad tells the press they knew somebody that died once, meaning Roy should have been more sympathetic. Clark Carlisle appears live on Sky Sports News to condemn the comments made by Hodgson, stating that the England boss was living in the dark ages and that it was no surprise that there was not a single dead manager in the Premier League with attitudes like his. The National Gravedigger Society issues a statement on the interview from Hodgson, commenting that dead people had been held back from reaching senior roles within Britain for far too long, pointing out that every single member of the FA was alive. Roy Hodgson is sacked, following protests outside the FA Headquarters from infuriated Daily Mail readers who had discovered that the former England manager had begun his managerial career abroad. It was no surprise, said one reader, that the England team had failed to win the World Cup for so long, when we were letting the Swedish come over here and take our jobs. The FA announces the creation of a Dead Footballers Advisory Panel (DFAP), designed to ensure that the next England manager would be sympathetic to everyone, living or dead. Nobody turns up to the first DFAP meeting, with one junior member of the FA pointing out that this was probably because they were all dead. He is fired and widely slated in the tabloid media as being a traitor to the nation. England finally appoint a new manager, as the FA give in and finally give Harry Redknapp the job, following the QPR manager sending them his CV for the 26th time. England beat Qatar 1 – 0 thanks to an 89th minute winner from Wayne Rooney. The team are hailed as heroes, sure to conquer all in their path as Spain, Germany, Brazil and Argentina tremble before them. The Sun photoshops a picture of Lionel Messi bowing down to Andros Townsend. A 1 – 1 draw with Dubai is hailed as “battling”, with many newspapers distributing masks of Harry Redknapp for fans to wear to the tournament. This backfires when many Brazilian airports classify Rednapp’s face as an offensive item, refusing entry to a number of fans that had them in their possession. England sneak a 3 – 2 win in their final game before the World Cup, having recovered from being 2 – 1 down at half time. Redknapp states that the U.A.E manager will be “sick as a parrot” after the defeat. Redknapp is criticised by London Zoo and the British Parrot Society, who state that parrots are actually extremely healthy birds and that to suggest otherwise was extremely offensive. The British ambassador in Rio De Janeiro states his concern that the locals would be offended by the comments about parrots, as many of them lived in the Amazon Rain forest. Sol Campbell comments that England fans will come back from Brazil in coffins following this misguided and hugely offensive comment. As the England squad prepares to fly to Brazil, Harry Redknapp is attacked by a mob of parrot activists, who shout slogans such as “Parrot Power!” “Rights for Parrots!” and “You look like snoopy you melted face weirdo.” He promptly resigns from his position, going on to open a stall at Camden Market. He is sentenced to prison for assault after attacking an old lady who called him a wheeler dealer. 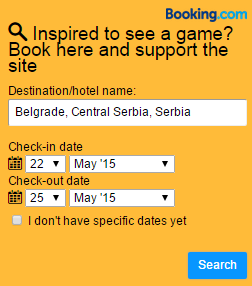 With just days before the start of the World Cup and with England finding themselves without a manager, desperate measures are taken. 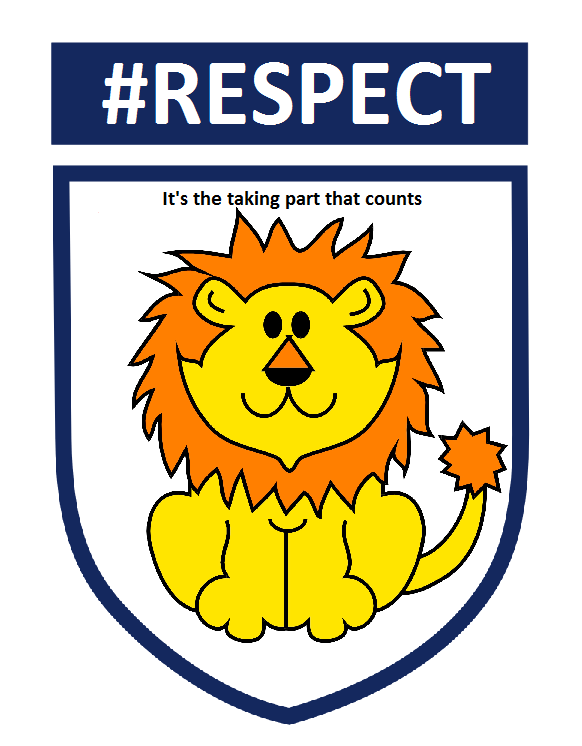 A decision is made by the FA to search through the #respect hashtag on Twitter, with the job going to the individual who had shown the most #respect in the last six months. England are out of the World Cup, having been hammered in every game. The managers training methods are openly criticised by members of the squad, who feel that photoshopping pictures of Cristiano Ronaldo and tweeting R.I.P to every single person that ever died was not the best use of their time. This also caused Wayne Rooney to be sent home from the tournament in disgrace, after he was caught drawing pictures of himself in a Paris Saint-Germain kit on Microsoft Paint. As Germany celebrate their 2 – 1 World Cup final win over Spain, the England squad parades through the streets of London with giant gold letters spelling out #respect. It is the most celebrated moment in English sport since the last time something bad happened to Rio Ferdinand. Posted on October 21, 2013, in General. Bookmark the permalink. 1 Comment. I am a dead person and as such I am deeply offended by this article….